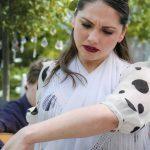 I am very fortunate to work with the fine Flamenco dancer Laura at a number of events. 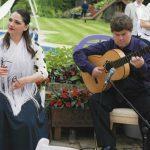 Spanish Flamenco Guitarist and Dancer available for weddings, Spanish dinners, tapas nights, wine tastings, fundraising events and other Spanish themed events. We combine the key elements of flamenco in consultation with you so as to provide the perfect show in accordance with your preferences for your specific event. We are based in Buckinghamshire and we are happy to travel all over Britain so please get in touch with us with your requirements. 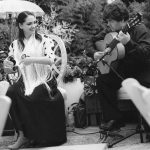 Our repertoire while being of concert standard is at the same time carefully planned to be varied, enjoyable and to show the full range of emotions expressed in flamenco. 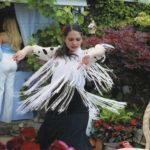 All of our performers are Spanish artistes who have studied and qualified in Spain. We bring our own professional amplification to your venue and arrive well in advance to set up correctly and carry out sound checks before your guests arrive. 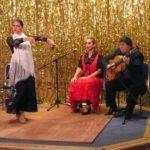 Flamenco Costumes, Guitars, Castanets and other accessories are all authentic professional standard from Spain. We are punctual, well organised and impeccable in our business arrangements. 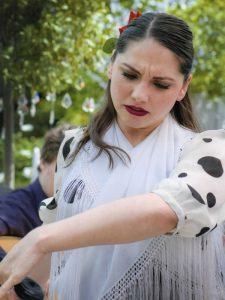 Everything we do is about providing enjoyable and high standard flamenco performances. 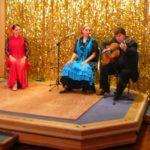 Please contact us to discuss your specific requirements so that we can produce a professional flamenco show for your event.